AIIMS Raipur has released the advertisement for the recruitment of 129 Senior Resident posts. So, the candidates can check the AIIMS Raipur Senior Resident Recruitment 2018 details from this article. We have provided the application form, post-wise vacancies, eligibility criteria and more information related to the All India Institute of Medical Sciences, Raipur Vacancy 2018. The Online registration of applications will be available on AIIMS Raipur website www.aiimsraipur.edu.in from 14th July 2018 from 11:00 A.M. to 24th July 2018 up to 5:00 P.M. Therefore, the aspirants need to cross check all the details from this post. At the last of this page, contenders can find the Steps to apply for the notification. We have also attached an AIIMS Raipur Senior Residents Recruitment 2018 Notification at the bottom of this article. 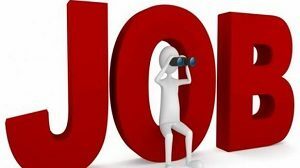 1.10 How To Apply For AIIMS Raipur Senior Resident Recruitment 2018? The aspiring applicants satisfying the eligibility criteria in all respect can submit their application only through online mode. Age and other qualification and experience will be counted as on the last date of submission of application. And, the officials have released the department-wise positions for the AIIMS Raipur Senior Residents Recruitment 2018. In the below sections, we have gathered all the details. So, the applicants who are eagerly waiting for the AIIMS Raipur recruitment can apply for the Senior Residents positions. But, all the applicants need to check the information before starting the application process. Contenders can check the age limit from the official notification in a detailed manner. So, visit the below section and check the official notification PDF. A Postgraduate Medical Degree/Diploma in respective discipline from a recognized University/Institute. DMC/DDC/MCI/ State Registration is mandatory before joining if selected. Applicants will be selected for the AIIMS Raipur Senior Resident by the Written Examination and Interview. on the Hall Ticket, the applicant will be disqualified. Students can verify all the information about the AIIMS Raipur Senior Resident Recruitment 2018 from this article. After checking all the details applicants need to start the application process. To know more particulars candidates can visit the official site of the AIIMS Raipur. Furthermore, we have provided the same details on this page for the sake of competitors. We heard the news that many of the aspirants are waiting to apply for the AIIMS Raipur Notification 2018. So, we have collected and arranged all the information on this web page. All the contenders need to submit the applications before the last date. Officials have said that the forms will be canceled which are submitted after the due date. Hence, the contenders need to check the dates of the notification carefully to start the process. How To Apply For AIIMS Raipur Senior Resident Recruitment 2018? Individuals can leave a comment in the below comment box to clarify the queries. With the help of the above link, candidates can apply for the AIIMS Raipur Senior Resident Recruitment 2018. So, check Sarkari Naukri on a daily basis to know more news.